Do you want to make money online in India? Are you searching for ideas to make money online? If yes, you are in the right place. Today I will share 7 Ideas to make money online in India for the beginner. Making money online is child’s play. 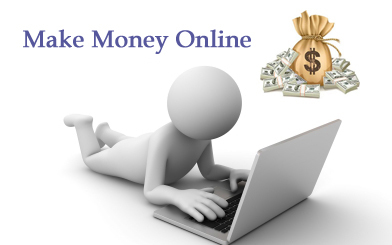 There are many people who are living their life with online money. They are making millions of dollars every year. So, there is no shortage of online money. The only thing you need remember is grab the right opportunity and avoid shortcuts of making money. Here are 7 legitimate ways to make money online for the beginner. The first idea of making money online is via an online learning platform. There are thousands of people who are using online learning platform for making money. In this idea, you have to act as an instructor and sell what you already know. You need to create your own course content and upload it online. Once your course is live on the website, students will be able to search and purchase it. On every purchase, you will be paid money. There are many online learning platforms, however, the most famous platforms are Udemy, Coursera & Skillshare. On these websites, you will find Become Instructor or Become a Teacher link. You just need to signup via this link and upload your course content. You need to know basic of computer and software like screen recorder Camtasia etc. The second Idea of making money online is by becoming a holiday advisor. Anyone can become a holiday advisor and make money online from home. A task of holiday advisor is to suggest visiting places, tourist places, sightseeing attraction etc. This is a great opportunity to earn money from home. You must be thinking about how one can become a holiday advisor and make money online from home? Well, there are two travel websites which offer the facility to earn money as a holiday advisor. The name of websites that offers holiday advisor as career options are Yatra and MakeMyTrip. The primary eligibility criteria for both cases are good in communication skill, knowledge about laptop or computer, willingness to attend training. You can become a freelance writer and make money online. Professional content writers are in big demand by professional bloggers and content marketer. It is a known fact that content is king for any website. A good and unique content helps an owner to generate a traffic. Increase in traffic means an increase in earning. This is the primary reason that bloggers and website owners are ready to pay money to a good content writer. If you have skills you can become a content writer and make money online from home. The websites like Fiverr, UpWork offers career as a content writer. Apart from that you can tie up with a blogger and make money. A demand for Virtual Assistant is growing radically. A virtual Assistant job can be done by anyone starting from the student, housewife or expert. You can earn $10 to $15 hourly in a virtual assistant job. You need to complete simple tasks such as typing e-mail, arranging documents, making specific documents, data entry etc. The website offering virtual assistant jobs are Up Work, Fiverr, MTurk, Freelancer etc. Before accepting a virtual assistant job you must check the skills required for a specific job offer. One of the best ways to make money online is from websites. Starting from beginner to expert everyone can make money via websites. One of the easiest ways to generate money from a website is via blogging. There are multiple ways to generate money via a website using blogging. The first method is via Google AdSense or other alternative advertisement networks. Google AdSense pays blogger on per click basis. The second method for earning money via a website is Affiliate marketing. In this method, you need to influence a prospective customer to purchase the product via your website. You will be paid commission for this. In addition to the above, you can also start your e-commerce website to start earning money. YouTube is among one of the best ways to make money online. A unique thing about this method is zero investment. You need to make your own video channel and upload unique videos on the channel. Once your channel is popular you can apply for the YouTube Channel partner program. This program offers a chance of earning money using YouTube channel from home. If you have an offline store or shop where you are selling various products, you should consider selling them online at e-commerce platform. Flipkart, Amazon, and eBay are e-commerce websites that offer the facility to become seller online. Once you register on these websites you can start promoting your products for earning money. I have compiled a list of best ideas about how to make money online in India for the beginner. All the ideas given above are legitimate and proven. I have already tried a few ideas from above and it worked like charm. All you need to do is hard work and you can earn a lot of money from home. If you have any queries about how to make money online feel free to post it in the comment section given below. Thanks for pointing out mistake. It is corrected now.